Mortgage rate averages were seeing some improvement through Thursday, May 1, rising back up to the previous range of 3.5 percent. Expectations of the new job report that was to come out on Friday, May 3, had rate watchers hopeful of an increase as a result if the report showed good information. The Friday report did in fact note an increase job creation nationwide and a strong one at that. With the creation of 165,000 new jobs, rate watchers would be in line to expect a rate bump given the assumption of greater income availability in the consumer markets as a result. What was particularly moving about the report was that the figures were better than expected; economists pegged the report to show only 145,000 new jobs instead. Instead, the federal jobs figures came in higher, as well as declaring the nation's unemployment below 7.5 percent for the first time in years. Going into the warm months across the nation will now bring added activity in the home market arena, especially on the west coast. Buyers are already clamoring for purchases, with mini-bidding wars picking up in markets previously depressed with an abundance of foreclosures. All of this is good news, both for removing old inventory clogging the books as well as generating new loan business and profits for lenders, even with tighter lending criteria in place. As noted earlier, the 30-year mortgage rate average closed Friday with 3.5 to 3.663 percent. The 15-year counterpart stayed in the range of 2.63 to 2.9 percent. 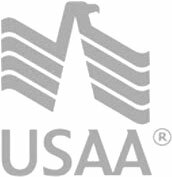 The competitive Veteran's Administration/FHA loan rate settled at 3.25 to 4.3 percent, and the 5-Year adjustable rate mortgage average moved slightly lower at 2.13 to 2.86. Compare mortgage rates from top lenders and save!